Below you fill find all funeral homes and cemeteries in or near Concord. Suburbs of Concord: Flowes Store, North Concord, Sidestown, Stonewall Jackson Training S.
Concord is also known as: Cabarrus County / Concord city. Their current mayor is Mayor Scott Padgett. Zip codes in the city: 28025, 28026, 28027. Cabarrus County funeral flowers can be purchased from one of the local funeral shops we partner with. James C. Lyerly, a native of Rowan County, along with his wife, Willene K. Lyerly, founded Lyerly Funeral Home, Inc. in May, 1957. Some of the notable people born here have been: Carol Barbee (screenwriter and actor), Jay Graham (coach), Mike Morton (american football player), Tracy Johnson (american football player), Jimmy Hitchcock (american football player), Jody Hill (screenwriter and film director), and Johnnie B. Rawlinson (judge). Concord (kon-kord) is a city in Cabarrus county, in the U.S. state of North Carolina. As of the 2010 census, the city had a population of 79,066, with an estimated population in 2013 of 83,506. 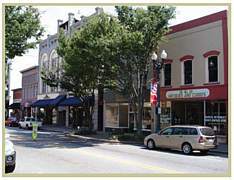 It is the largest city in Cabarrus County and is the county seat. In terms of population, the city of Concord is the second largest city in the Charlotte Metropolitan Area and is the twelfth largest city in North Carolina.The city was a winner of the All-America City Award in 2004. Located near the center of Cabarrus County, it is 20 miles (32 km) northeast of Charlotte center city.Concord is the home of Charlotte Motor Speedway and numerous NASCAR driver headquarters. It was noted on February 26th, 2019 that Gary "Wayne" Horn died in Concord, North Carolina. Horn was 65 years old and was born in Rantoul, IL. Send flowers to express your sympathy and honor Gary "Wayne"'s life. It was reported on February 24th, 2019 that Campbell) perished in Concord, North Carolina. Campbell) was 55 years old and was born in Newark, OH. Send flowers to share your condolences and honor 's life. It was disclosed by Bedford Bulletin on February 21st, 2019 that Josephine Reynolds (Angle) passed away in Bedford, Virginia. Ms. Reynolds was 89 years old and was born in Concord, NC. Send flowers to express your sorrow and honor Josephine's life. It was noted on January 17th, 2019 that Noel "Mark" Holt passed on in Concord, North Carolina. Holt was 60 years old and was born in Stuart, VA. Send flowers to express your sorrow and honor Noel "Mark"'s life. It was disclosed by Charlotte Observer on January 10th, 2019 that Frances Weant (Wilhelm) passed away in Concord, North Carolina. Ms. Weant was 95 years old. Send flowers to express your sympathy and honor Frances's life. It was revealed by Charlotte Observer on December 31st, 2018 that Walter Hugh Jr Henderson passed on in Concord, North Carolina. Henderson was 70 years old. Send flowers to express your sympathy and honor Walter Hugh Jr's life. It was revealed on December 25th, 2018 that Kenneth Scott Mullens died in Concord, North Carolina. Mullens was 48 years old and was born in Rockledge, FL. Send flowers to express your sympathy and honor Kenneth Scott's life. It was written by Charlotte Observer on December 16th, 2018 that Jerry Wayne Sigmon passed away in Concord, North Carolina. Sigmon was 85 years old. Send flowers to express your sympathy and honor Jerry Wayne's life. It was written by Charlotte Observer on December 13th, 2018 that James Estel "Jim" Hayes died in Concord, North Carolina. Hayes was 77 years old. Send flowers to express your sympathy and honor James Estel "Jim"'s life. It was written by Charlotte Observer on December 12th, 2018 that James Edward Tolliver perished in Concord, North Carolina. Tolliver was 74 years old and was born in Welch, WV. Send flowers to express your sorrow and honor James Edward's life. Choices are diverse, offering modest homes to multi-million dollar estates. In 2000, the City of Concord, knowing the importance of attractive, safe and healthy neighborhoods, implemented the "Partnerships for Stronger Neighborhoods" program. The 60-square mile city of Concord, with a population of over 71,000, is robust economically and residentially. Concord is served by the Cabarrus County Schools system. Concord is also home to the large retail venues of Carolina Mall and Concord Mills, just minutes away from Lowes Motor Speedway. 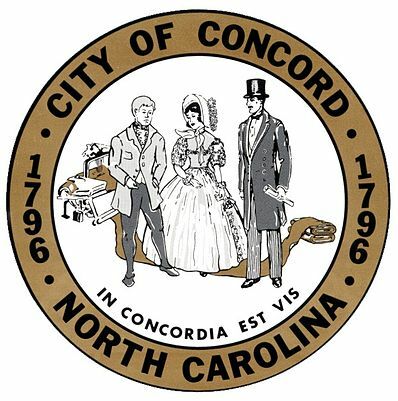 The official website for the city of Concord is http://www.concordnc.gov. She was the daughter of Concord, NC Police Chief Merl Hamilton ... has not been home since six years ago when he attended his father's funeral. Niagara Falls Man Wanted in NC A Niagara Falls man is wanted in North Carolina in connection with a murder. The family will receive friends at Whitleys Funeral Home , Kannapolis ... Donations may be made to NorthEast Foundation, 920 Church Street N, Concord, NC 28025. Concord, NC Funeral Home - Wilkinson Funeral Home proudly provide the families of Concord with the best in personal and professional service. Listing all funeral homes in Concord, North Carolina so you can easily send flowers to any location (same day delivery) or find any funeral service. Funerals in Concord, NC on Yahoo! Local Get Ratings & Reviews on Funerals with Photos, Maps, Driving Directions and more. We work with local florists and flower shops to offer same day delivery. You will find budget sympathy flowers in Concord here. Our funeral flowers are cheap in price but not in value.